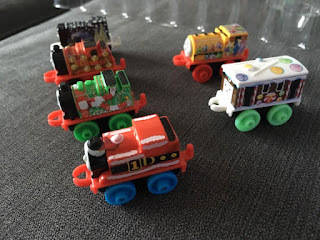 Mum of Five Staying Sane: What's inside the Thomas Minis advent calendar, a sneak peek behind the doors of this Christmas calendar exclusive to Asda stores. One week until Christmas advent countdown. What's inside the Thomas Minis advent calendar, a sneak peek behind the doors of this Christmas calendar exclusive to Asda stores. One week until Christmas advent countdown. 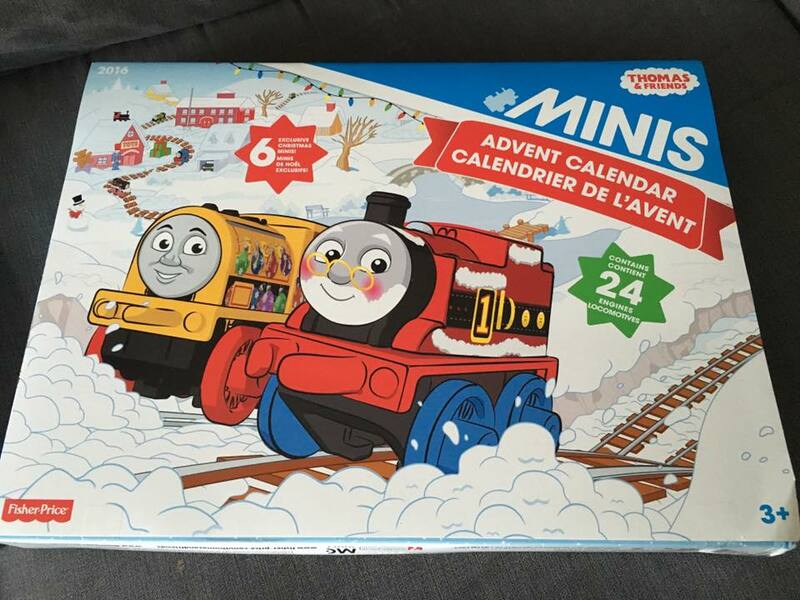 This year I have bought Thing 5 the Thomas Mini's advent calendar, exclusive to Asda this Christmas. 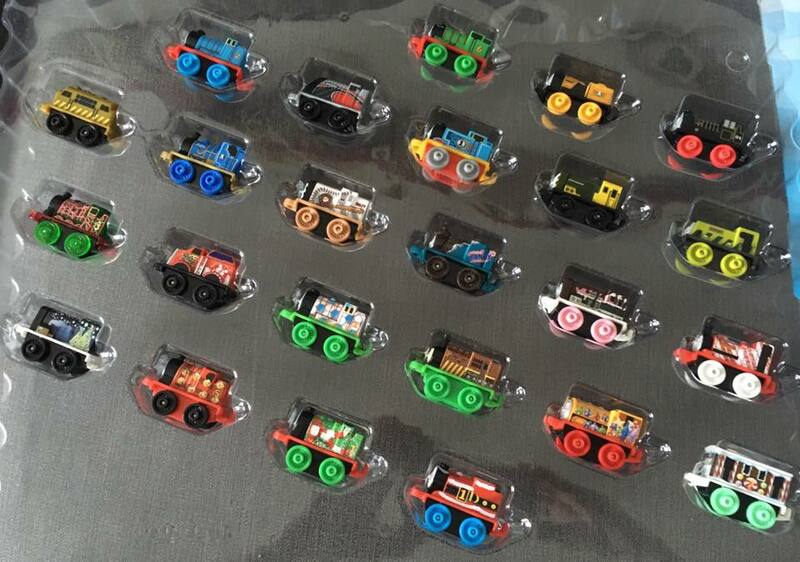 Priced at £24.99 and contains 24 Thomas mini collectibles with 6 being special exclusive Christmas edition models. 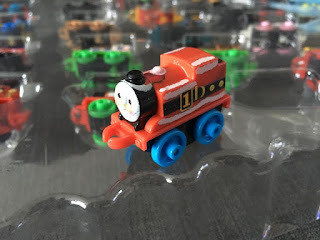 I took a sneak peek inside the Thomas Mini's advent to see what there was lurking behind the advent doors! 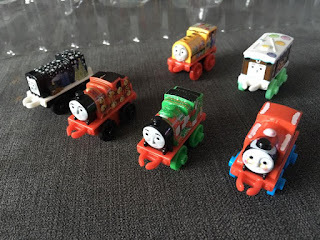 Thing 5 has a few Thomas Mini collectible trains already and I thought this was ideal to get his collection really growing. Usually you would buy Thomas Mini's in a blind bag for around £2-£2.50 per train and it's a gamble as to whether you are going to end up with one that you already have. The price of the advent calendar compared to buying the single packs is very good and Thing 5 will love having a train to add to his collection each day. 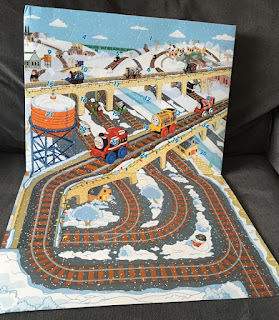 The advent calendar has a flip down section so as you open each door and get a train out you can place it on the printed track play section and either display them until you have all 24 or start playing straight away, I know what Thing 5 will be doing! 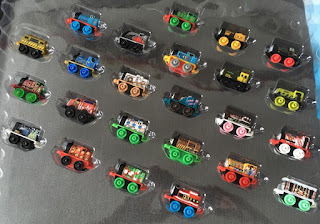 So here is what is inside the Thomas Mini's advent calendar this year. 24 Thomas Mini collectible trains for each day of advent. The 6 exclusive Christmas trains can be found behind the last 6 doors. The advent calendar is an Asda exclusive and pops up online now and again so do keep an eye on the website and in local stores. It can also be found on eBay, Amazon and other websites although unfortunately at higher prices than was originally sold by Asda.